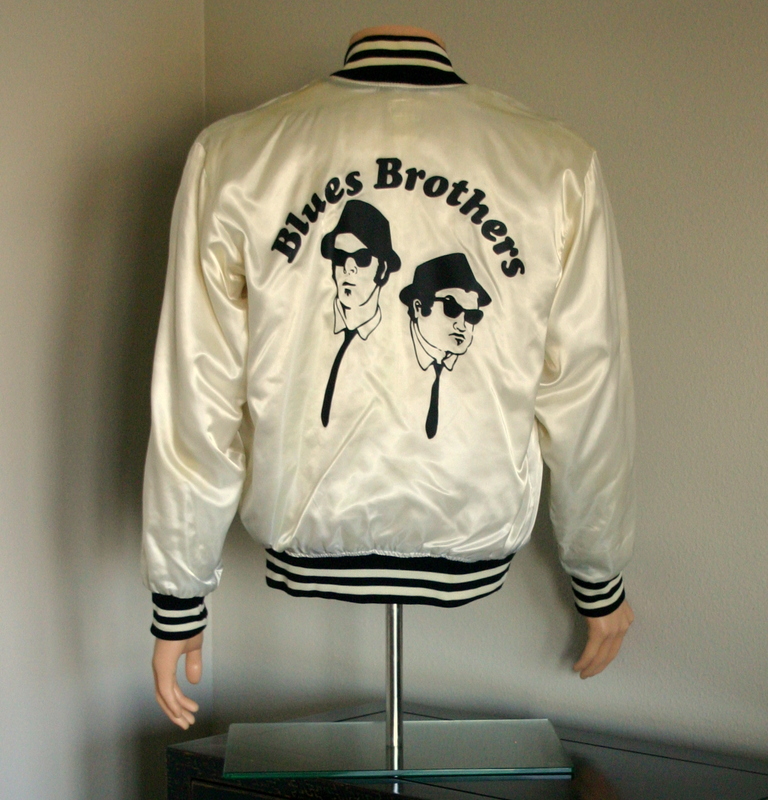 This Disc brand, cream-colored satin jacket is an original 1970s Blues Brothers (Dan Aykroyd/John Belushi) touring jacket. 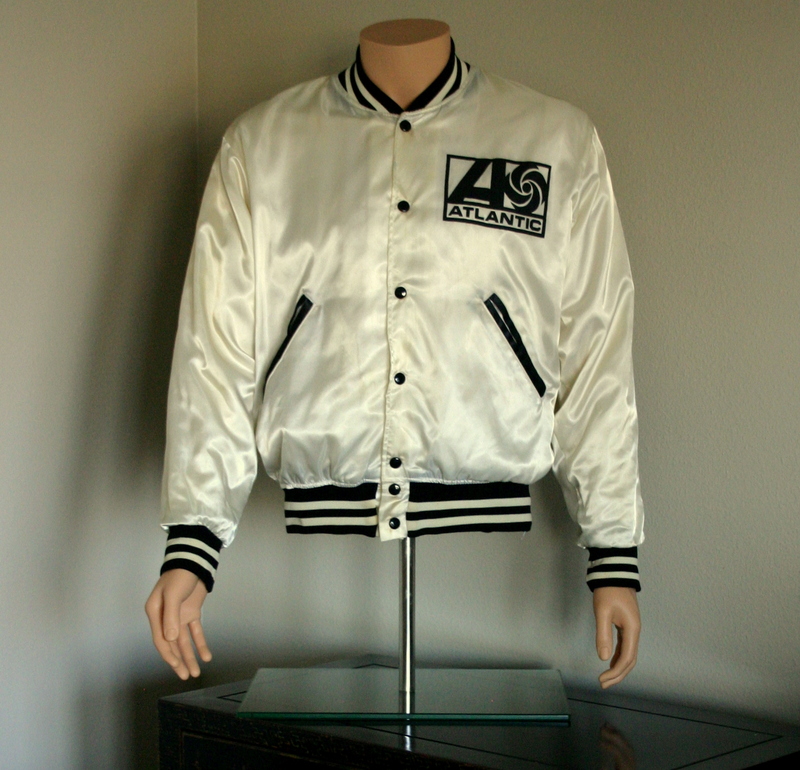 The size medium jacket measures @24 inches from arm pit to arm pit; it is @25 inches long. 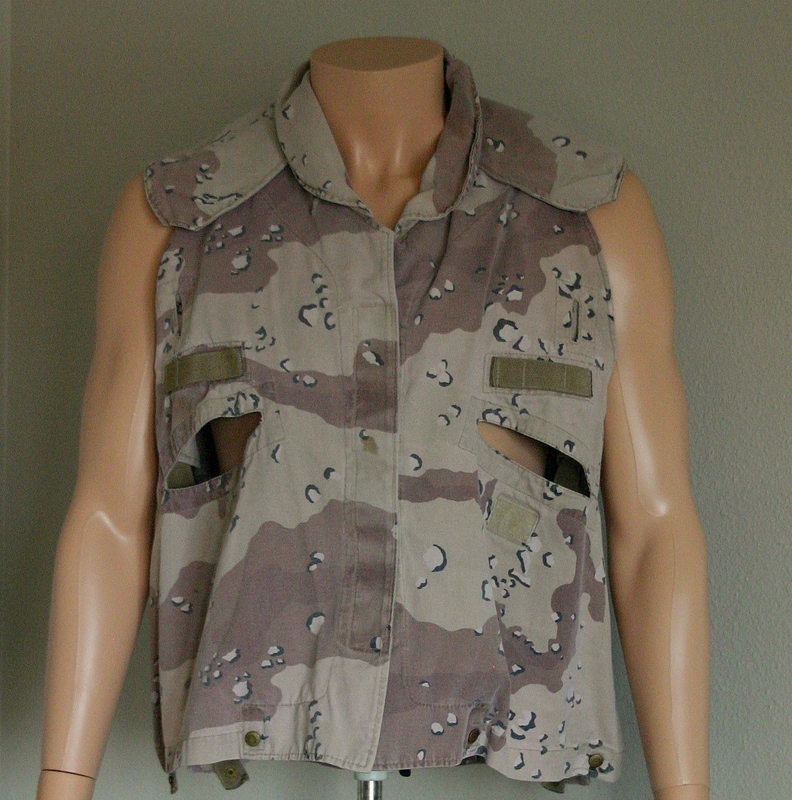 It is lined with white fleece. 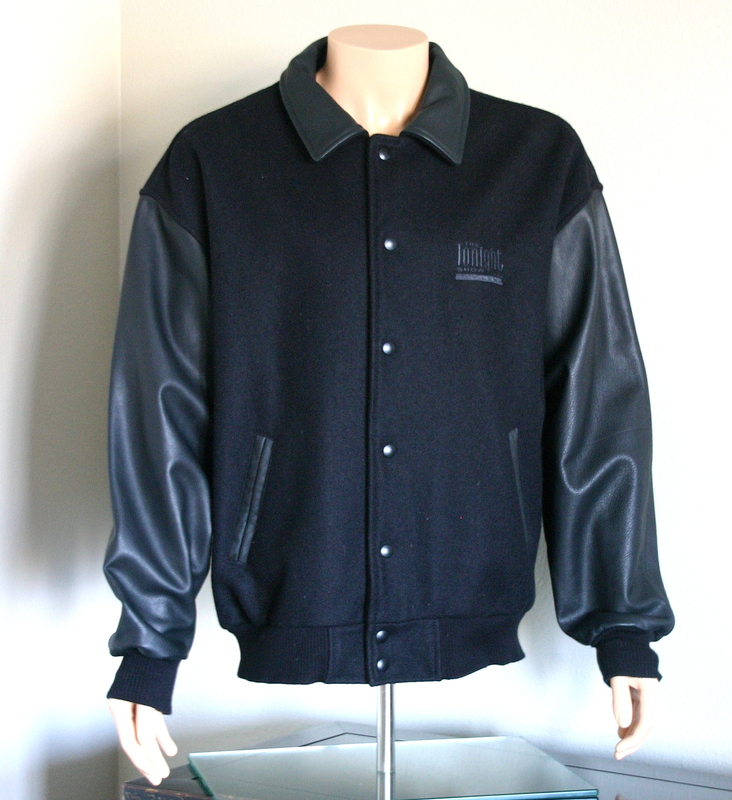 This beautiful jacket is in very good condition, with no rips or tears and only very light stains. It was acquired from a private collector. It is accompanied by a Certificate of Authenticity from The Prop Master, with our 110% Authenticity Guarantee. This rare piece of Blue Brothers history is sure to please any fan!